We are full service Roofing, Gutters, and Siding contractors that specialize in natural disasters due to Hail and Wind. Our professional staff are highly trained to assist those homeowners who were affected by the recent catastrophic storms. We work solely with Insurance companies to replace your damaged property. 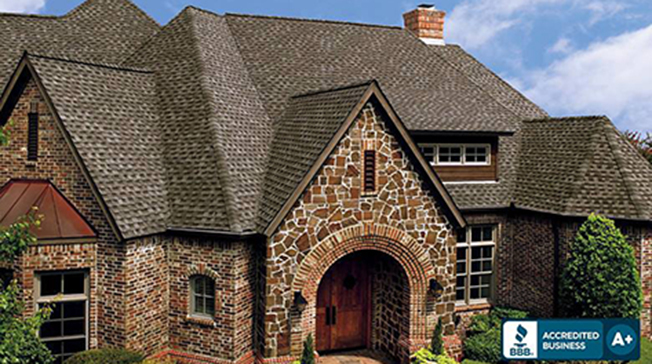 Call us Today for your FREE Roof Inspection! You may be entitled to a full roof replacement paid for by your Insurance company! We are state licensed and Insured for the protection of our homeowners. Our way is to operate locally, fully providing our customers with the highest quality materials in todays market. **** made our roof ordeal pain free. I would recommend his company to anyone. We got Ryan’s name from our insurance company as a possible roofer along with two others. Ryan got back to us immediately with a phone call and estimate. We hired Ryan to do the job. He started the job when he said he would and finished the job when he said he would. Such an Awesome Job....we are so pleased with our Beautiful Roof. Excellent service....did exactly what they said they would do. They clean up afterwards and all you can tell that has been done is the Completed Beautiful Job. Thank you *** we appreciate you! Ryan Contracting recently replaced our roofs and gutters at our Waterford Condominium complex consisting of several buildings in Calhoun. Ryan and his employees were very professional. The time that Ryan Satterfield put in working with our Insurance company went above and beyond anything we had expected. We highly recommend Ryan Contracting and will not hesitate to use him and his company on any future projects. Ryan Contracting made the difficult process of dealing with an insurance claim worry free. His attention to detail provided my insurance company the time consuming information required to approve the claim without a singe issue. Ryan's crew was meticulous during the installation and clean up. Ryan Contracting made the difficult process of dealing with an insurance claim worry free. His attention to detail provided my insurance company the time consuming information required to approve the claim without a singe issue. Ryan's crew was meticulous during the installation and clean up. His professionalism is unparalleled. We are so pleased with the work that RYAN Contracting performed! Even though we had received many, very positive remarks from others well known to us, the work still exceeded our expectations. Ryan presented his recommendations to the homeowners and it was unanimously agreed to move forward with RYAN Contracting for a new roof. His crew was meticulous! Without any hesitation, we will be using RYAN Contracting in the future for new gutters.